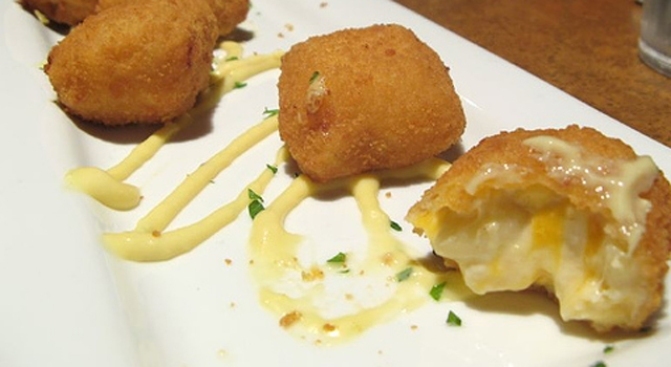 Fried mac and cheese could be one creative suggestion at the Mac Battle Royale with Cheese. San Francisco's newest war doesn't involve any bullets and it is not trying to eliminate fun. In fact it actually involves laughter and a lot of cheese. The best mac and cheese makers in the world are invited to San Francisco next month to spice up their instant dinners with whatever secret ingredients their little heart desires to become the champion of the Mac Battle Royale with Cheese. The first event installment of the San Francisco Food Wars will pit 20 chefs against each other with the sole task of creating the best mac and cheese. Think of it as an Iron Chef for the common people. The cook off will take place at the Stable Cafe, 2128 Folsom St., in San Francisco on Aug. 22. Tickets are $10. Thanks to SFist for the tip.